This class is designed for beginner and intermediate artists. We will be discussing design, values and color theory. I will be demonstrating and painting along with you, and still life set-ups will be provided. For those of you who prefer landscapes, please bring a photo of something you would enjoy painting. Janice Hamilton has studied with many nationally-known artists. She enjoys both oils and pastels. She has a degree in education and has taught in the public schools and in continuing education programs. She has been featured in numerous one-woman shows. 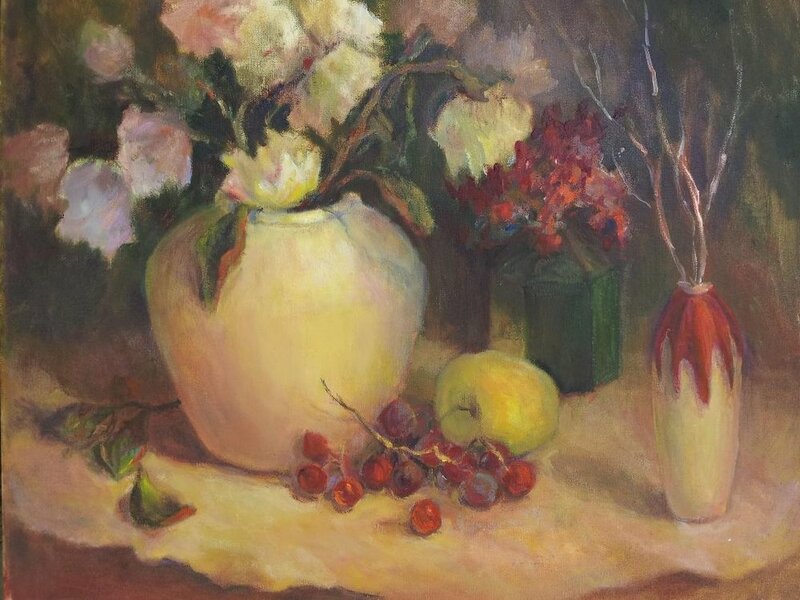 Her work has been included in the Artists of Texas, Volume 1V, Fine Arts Catalog, and she was featured as one of the “Master Pastel Artists of the World” in the 2003 June-July issue of International Artists Magazine. In 1994 one of her paintings was included in the Dallas Museum of Art’s Beaux Arts Ball Auction. Janice's oils have been included in Oil Painters of America shows around the country, and her pastel was included in the Pastel Society of America show in New York. She has been asked to give programs and teach workshops for numerous art organizations. Janice is a past-president of the Pastel Society of the Southwest and the Associated Creative Artists of Dallas. She is a signature member of Associated Creative Artists and Texas & Neighbors. The Instructor will bring some brushes for students to try the first class.